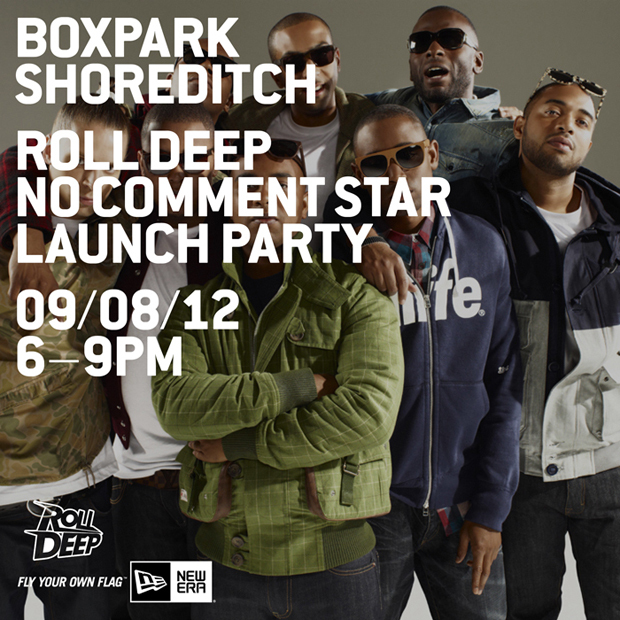 Celebrating their return and the release of their latest mixtape ‘No Comment Star’, Roll Deep will perform on the rooftop at Boxpark this Thursday evening, alongside special guests Jammer and DJ Logan Sama among others. Only 200 fans will be able to attend the performance, with tickets available to those who go into New Era‘s Westfield Stratford store and Boxpark store and quote “No Comment Star” upon entry. The performance kicks off from 6pm on Thursday August 9th, and the new mixtape is available for free download from Roll Deep now.